Company: WoodWrights is a group of general contracting specialists offering a wide range of services for residential, commercial and industrial properties. 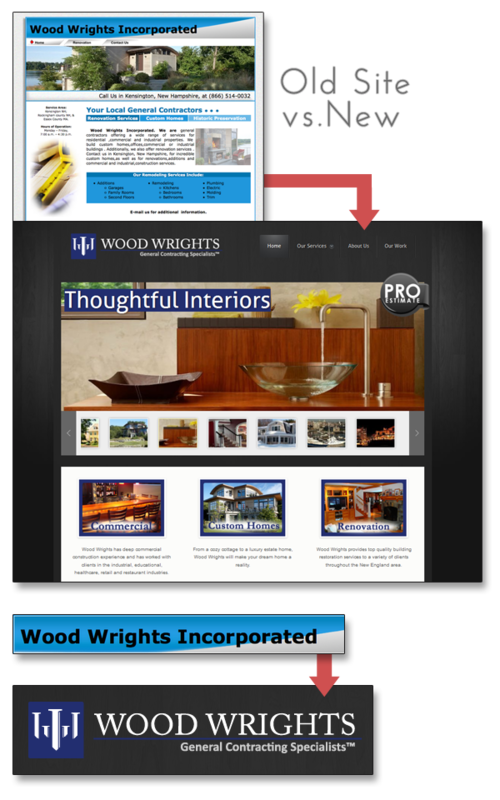 WoodWrights has built custom homes, offices, commercial, industrial buildings and several complex marine projects. The Opportunity: WoodWrights has been doing high-end renovation and contracting projects for over 20 years. Known to exceed expectations and hit budgets, WoodWrights has built a strong reputation of quality work. However, WoodWrights was not extending their superior reputation using the Internet. In fact, their web presence was in some cases hurting them by not accurately reflecting their high quality of work.